Are you the adventurous type? Will you dare to try hot air balloon rides just for the sake of making your Valentine’s Day a little different this year? I’ll take the challenge if I have the chance to do it. I admit I’m afraid of heights especially when I’m standing on the glass floor or near the glass window of a building, it made me feel like throwing up. But the feeling is a lot different when I’m riding an airplane or a helicopter. I really enjoyed the whole experience. So anything like hot air balloon rides would most likely be an enjoyable adventure for me, too. Ok, I’m dropping hints to my husband here. I’m not sure if he’s going to give in to my request to witness the 16th Hot Air Balloon Festival at Clarkfield, Pampanga. 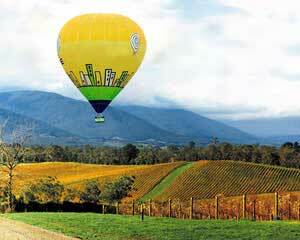 I really wish to ride a hot air balloon and experience the feeling like I’m floating up in the air. Hubby and I can make it a little romantic though. Have you seen the movie, “The Ugly Truth”? I really love the hot air balloon scene where Gerard Butler gave Katherine Heigl a long and passionate kiss as they fly off. It happened shortly after a brief argument and then the admission that they love each other. Now, do you agree with me when I say that riding hot air balloon can be one of the perfect Gift ideas for lovers on V-Day? If you’re in for an adventure and interested to try hot air balloon ride especially in Australia, you may check out the links within this post to see what they have to offer. Happy Valentine’s Day, everyone! This entry was posted in Occasion, Tourists destination, Travel and tagged Clarkfield, gift ideas for valentine's day, Hot Air Balloon Festival, hot air balloon ride, Pampanga on February 11, 2011 by Yami.